24-hour forecast: Sunny with some cloudy spells today and cloudy at times tonight. A few showers and isolated thunderstorms will occur mostly over the sea and along some coastal areas this morning and tonight and over inland areas this afternoon. General Outlook: Some cloudy spells with showers and thunderstorms generally isolated except for a few more inland during Thursday and over the south Thursday night. Daily Tropical Weather Outlook: Tropical cyclone formation is not expected during the next 48 hours in the area of Belize. 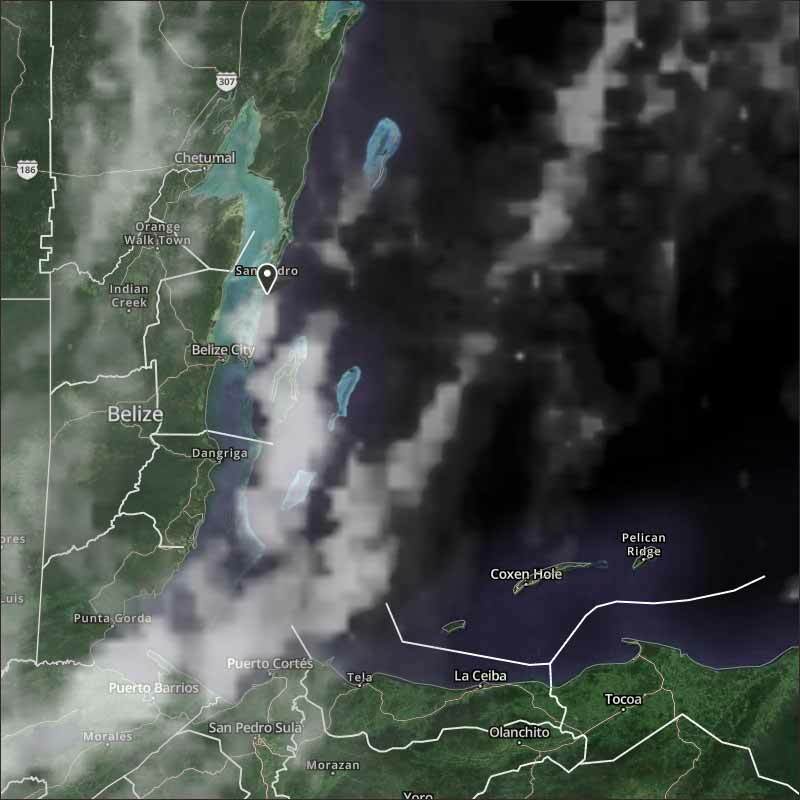 Tonight E-SE 5-15 kts Light Chop 2-4 ft A FEW SHOWERS AND ISOLATED THUNDERSTORMS. Tomorrow E-SE 5-15 kts Choppy 3-4 ft ISOLATED SHOWERS OR ISOLATED THUNDERSTORMS. 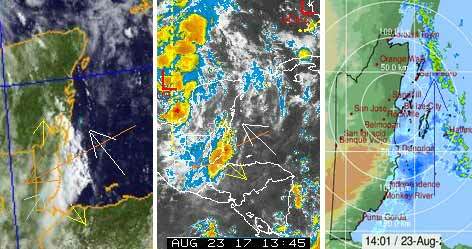 Outlook E 10-20 kts Moderate 4-6 ft A FEW SHOWERS AND ISOLATED THUNDERSTORMS MOSTLY SOUTH. 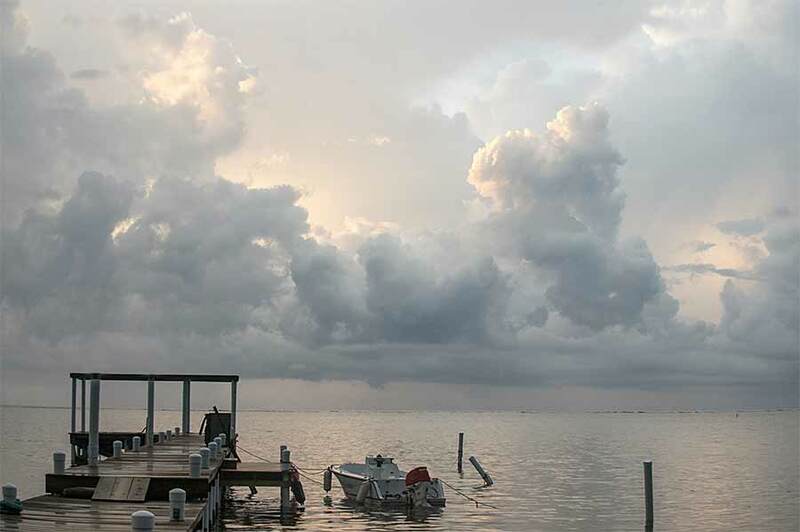 On Ambergris Caye this morning the sea is flat calm and we have thunder showers passing through. Our expected high is 89 f.
A lot of different things happening, high level cloud, the tail end of Harvey, coming in from the NE, clashing with several other winds at different heights, resulting in a lot of rain, but most of that is out at sea and moving northwards, San Pedro is getting a lot of it, but very little inland. It might take several hours for the rain to ease off and the cloud thin. The heavy cloud is forming just off the coast, which will be clearer in the Cloud picture later. 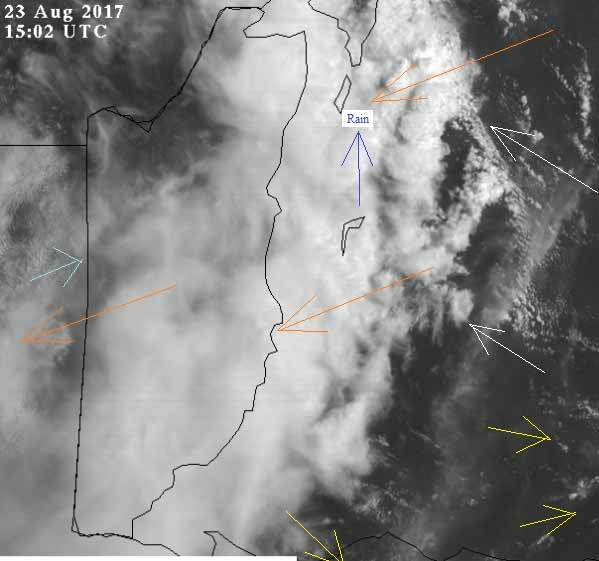 Looks like today will be a mixed bag and very different in different parts of Belize, mainly cloudy for much of the day, with isolated rain, mainly along the coast and out at sea.